It's cold and as the snow settles all around us, I thought today was the perfect opportunity to share with you a couple of my favourite new skincare products that are keeping my skin and lips nourished this winter. We all know that the elements can take their toll on our complexions. The cold can leave skin and lips feeling so dry and in need of quenching. 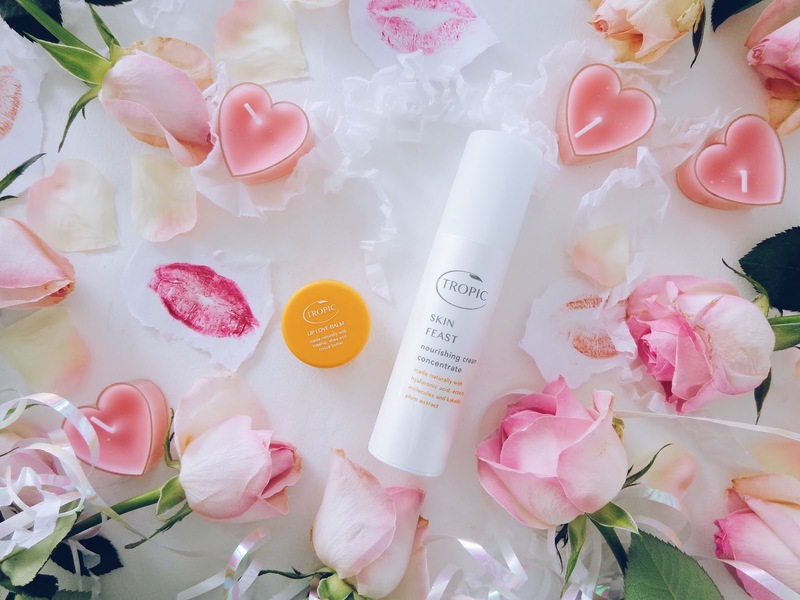 I've been trying out the Skin Feast Nourishing Cream Concentrate and Lip Love Balm (a perfectly thematic name making it ideal for Valentine's Day!) 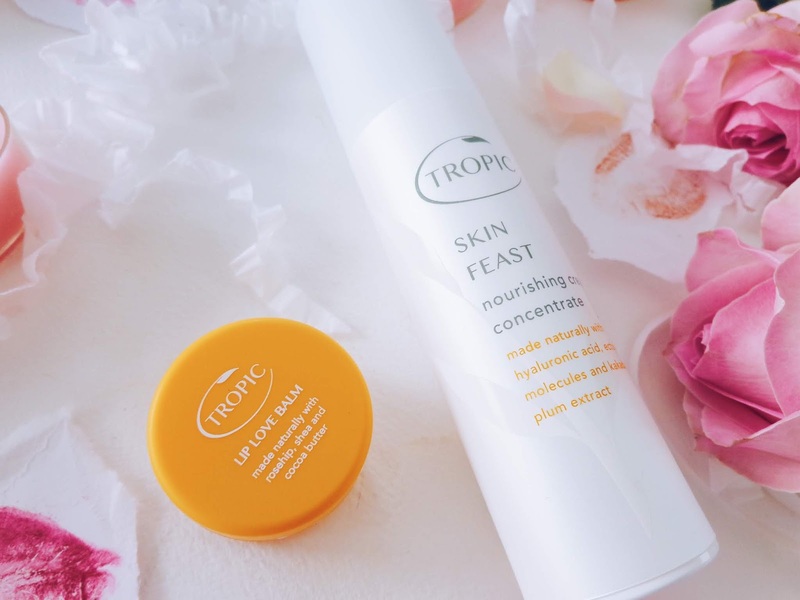 and let me tell you, I have found my new favourite face cream and the lip balm is sublime too and I'm going to tell you just why I love them so much! If you're a regular reader of Coconut Couture then you'll have seen that I am particularly fond of those companies who can deliver sustainable, natural products which nourish skin with essential oils, extracts and basically all things naturally sourced. It's better for the planet. It's better for you. 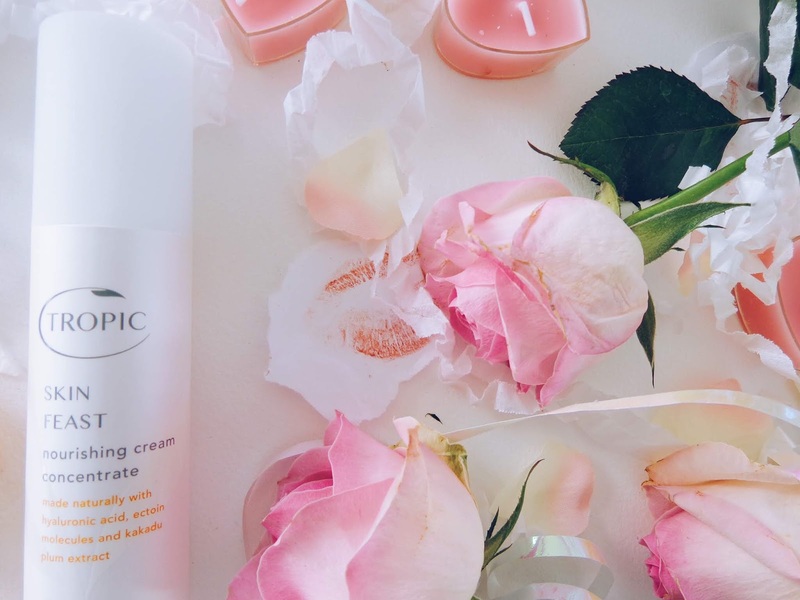 I was first introduced to Tropic skincare by my mum, who told me about the brand and the natural wonders which they create in their Surrey based beauty kitchen by a specialist team of beauty chefs. Their products are carefully balanced and enriched with the most nutritious botanical actives found in tropical climates. Their ethos and motto is simply that they believe in 'good for you' and they believe skincare should be pure, honest and effective. Concise and to the point, yet that is exactly what we need when it comes to the products which we use everyday on our face and body. Why use chemicals on your skin unnecessarily? Much like diet, it's essential to nourish your skin. It needs the double whammy, nutrition from the inside out and the outside in and that's where Tropic Skincare steps in. They are revolutionising the skincare and beauty market and want to promote the message of a #GreenBeautyRevolution. Set up by Susie Ma who was inspired by the natural beauty, plants and botanical actives which she saw around her in Cairns, Tropical North Queensland in Australia where she was brought up, this inspired her love of developing natural beauty recipes and was the foundation of many of Tropic's skincare formulations today. This nutrient-rich daily moisturiser helps to protect and nourish for an incredibly soft, bright and healthy complexion. It is also brimming with goodness and includes 20 different fruit and flower extracts which I think is incredible. With oh so much goodness packed into it, this is the perfect, hydrating match for dry, ageing, dull and sensitive skin, things that are easier to suffer from during the freezing winter months. What I really love about this cream is that it smell incredible (it reminds me of a spa!) and it also absorbs into the skin really easily and feels light yet deeply hydrating. The perfect combination! 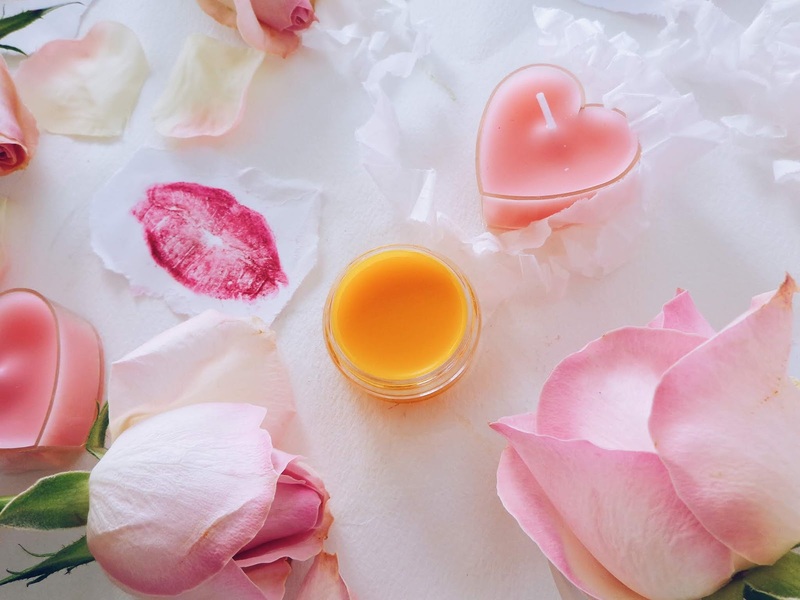 The Love Lip Balm is a lip care sensation, packed with all sorts of amazing nourishing goodies. It is also super versatile as it can be used on other skin areas besides your lips too! 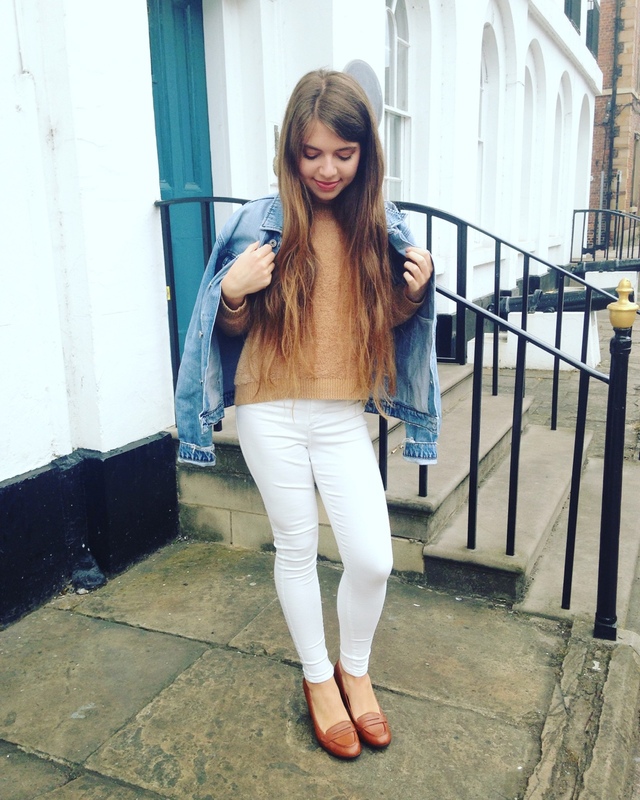 It's small and portable, so is perfect for popping into your handbag! Shea Butter - This nourishing butter intensely moisturises lips and promotes a softer, smoother surface. "This super nourishing lip balm helps to replenish dry and cracked skin, whether on your lips, cuticles, elbows or heels. 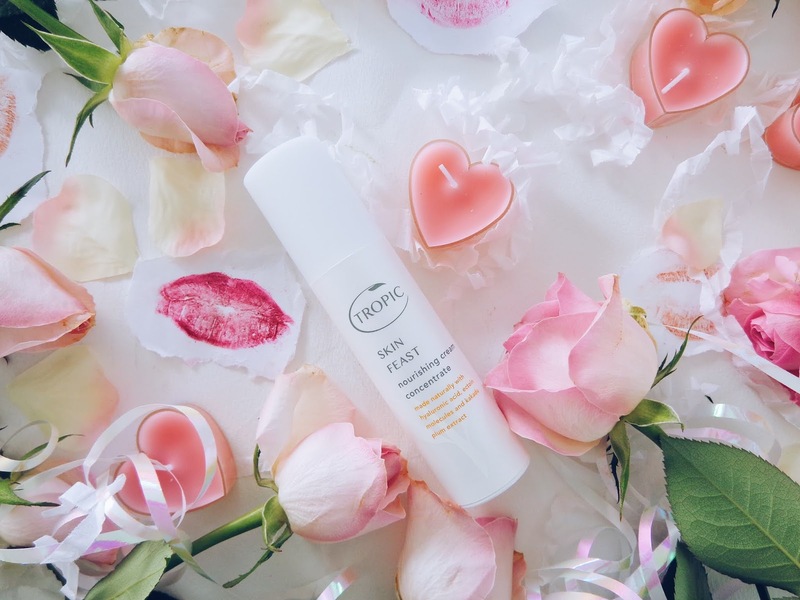 This blog post contains PR samples from Tropic Skincare. All views remain honest and my own.